The Studio Drive-In opened August 26, 1948 and was independently operated. It was taken over by Pacific Theatres in April 1952. Closed in 1993, it was demolished in September 1998. Was this known as the Cina-Car Drive-In at one point? 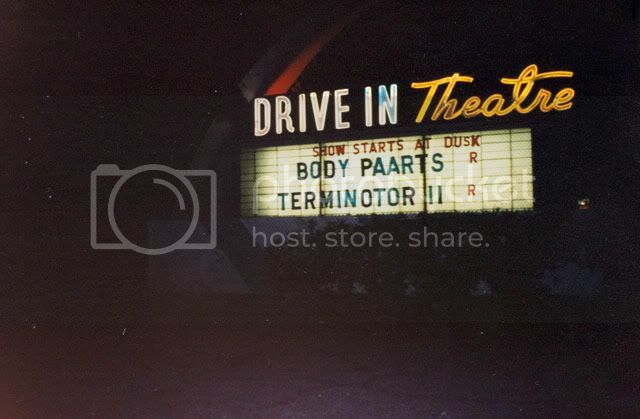 Can’t imagine Culver City having two drive-ins. Recent article with marquee photo from premiere of “Pee Wee’s Big Adventure”, 1985. Copy & paste to view. Undated aerial photo added courtesy of Brent N Lois Melander. The drive-in scenes in the movie Grease were filmed at the Pickwick drive-in, not the Studio Drive-in. This drive in was used in the movie Jawbreaker, which was released in February of 99. Apparently, the scenes were shot shortly before it’s demolition. Also called Heart of screenland. Site is now a Holiday Inn. Facebook link with KTLA news coverage of the 1998 demolition. This theater is shown in the background of a couple of residential shots in Crime of Passion from 1957.